Supergirl: The Complete Second Season is quite entertaining in spite of its faults with the script writing and some performances, yet Melissa Benoist is a delight in the lead, almost Christopher Reeve-esque in her cheerfulness, and the season-long arcs were compelling. Note: The video and audio sections were copied from my season one Blu-ray review. 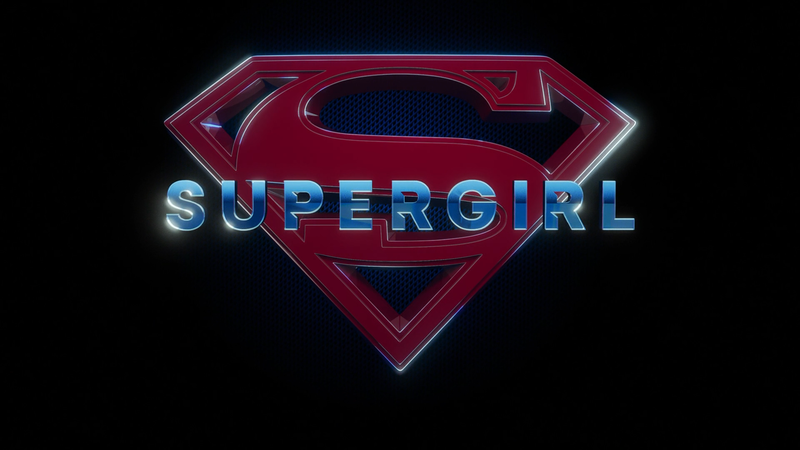 Season Synopsis: After leaving her day job as Cat Grant’s assistant at CatCo Worldwide Media to take stock of her life and plan her future, Kara Danvers (MELISSA BENOIST) continues to work with Hank Henshaw (DAVID HAREWOOD) and her sister Alex (CHYLER LEIGH), at the Department of Extranormal Operations. There, she can be her true self – Supergirl – using her ever-increasing powers to protect National City while searching for her missing father, Jeremiah (DEAN CAIN), and the secret research lab, Project Cadimus. 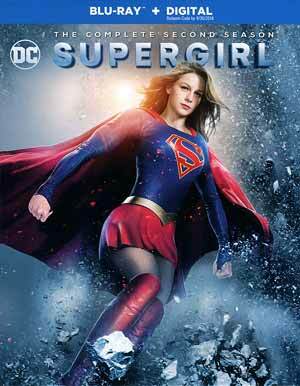 Along the way, she teams with her Kryptonian cousin, Kal-El – aka Superman – to battle new villains. 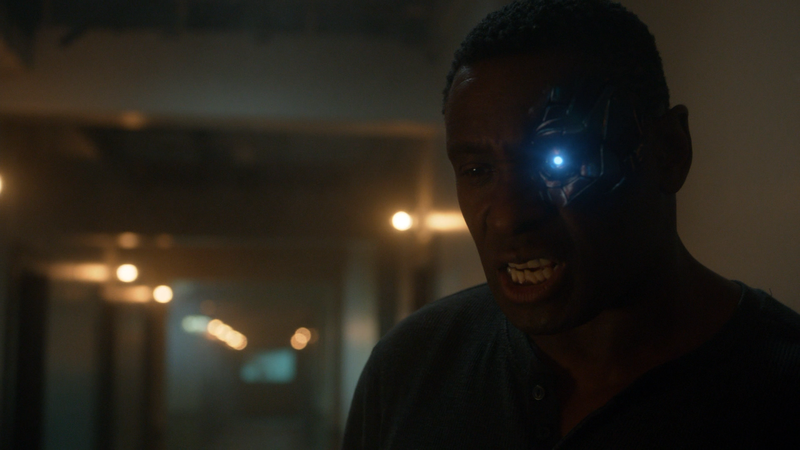 Quick Hit Review: Supergirl makes her sophomore effort and although quality is still on the uneven side at times, I really enjoyed the season that features plenty of nods to the source material, and introduces us to a decent season-long story arc with Cadmus throwing just about all it has against Supergirl and the members of the DEO, including Superman villain, Metallo, whose version in this one is maybe a step up from his incarnation on Smallville. The cast meanwhile continue to shine, Melissa Benoist, especially as The Girl of Steel. She’s the closest reminder of Christopher Reeve’s Superman with a bright-eyed person who wants to see the good in the world in spite of the darkness and a seemingly relentless onslaught of super-villains that continue to attack her city. David Harewood gets some more character development with the discovery of another Martian survivor; Chyler Leigh’s Alex personal life comes to light with the new love of Detective Maggie Sawyer (played by Floriana Lima); and Chris Wood plays the latest alien, named Mon-El, to crash to Earth, this time from Krypton’s sister planet, Daxam, which allows Kara to teach him the ways of being a human, something she was unable to do with Kal-El. Supergirl: The Complete Second Season is thoroughly entertaining even if the writing isn’t exactly top-notch and production values, at times anyway, a bit questionable but expected going from CBS to The CW where the per episode budget was slashed. Still, as a DC fan, I did enjoy some of the in-jokes and familiar characters. The 4-disc set is housed in an extra wide Blu-ray case and comes with a side-sliding matted slip cover. Inside is an episode guide and a redemption code for the Digital HD copy. Supergirl: Alien Fight Night (10:06; HD) – This looks at the episode ‘Survivors’ where Supergirl and other metahumans are forced to compete in Roulette’s Octagon. Audio Commentary on ‘Supergirl Lives’ with Episode Director Kevin Smith and Story Writer Andrew Kreisberg. As always, Smith provides a great commentary which is fanboy-esque as he gushes on the cast and show. 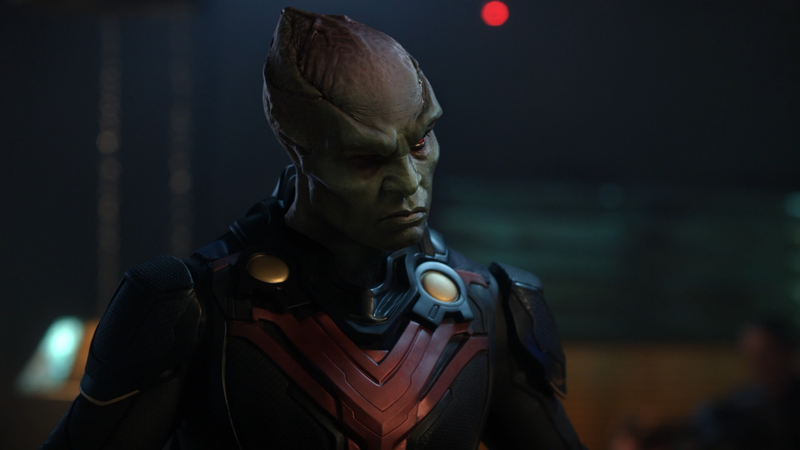 Supergirl: Aliens Among Us (19:56; HD) – Examine the outsiders from beyond the stars and the visual effects that bring them to life. Supergirl: 2016 Comic-Con Panel (28:26; HD) – The cast and producers talk up the second season. A Conversation with Andrew Kreisberg and Kevin Smith (3:55; HD) – The pair discuss the director’s unique approaches to directing The Flash and Supergirl. “Supergirl: Did You Know?” Facts for Fans (TRT 5:45; HD) – The cast and producers reveal some of the show’s most fascinating secrets. 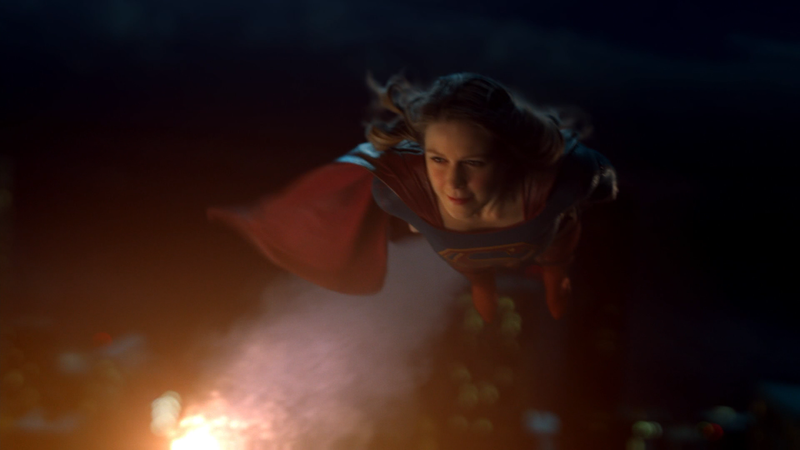 Supergirl flies onto Blu-ray presented in its original televised 1.78 widescreen aspect ratio and given a 1080p high-definition transfer (MPEG-4 AVC codec). For the most part, this is a good looking show. Colors are generally bright, even nighttime scenes, and the blues and reds in Supergirl’s costume have a nice pop to them. Detail isn’t terribly strong but there’s some decent sharpness and this looks like a clean transfer, free of artifacts, aliasing and banding. The show includes a strong enough DTS-HD Master Audio track which provides clean and crisp dialogue levels and when the action picks up, and there are quite a few action-centric sequences, there’s some OK depth to them, though nothing mind-blowingly awesome, yet it’s still impressive and probably a nice step up from how it was originally televised. Overall, Supergirl: The Complete Second Season is quite entertaining in spite of its faults with the script writing and some performances, yet Melissa Benoist is a delight in the lead, almost Christopher Reeve-esque in her cheerfulness, and the season-long arcs were compelling. This Blu-ray released by Warner, offers good video and audio transfers a decent selection of bonus features.